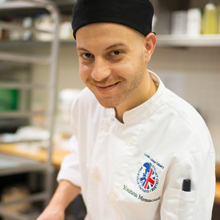 David Kaye has had an extraordinary career since graduating from Loyalist College. 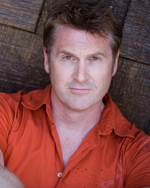 He branched out from radio to being creating an extensive voice-over career, including a 20-year relationship with the Transformers franchise, voicing Megatron and Optimus Prime. 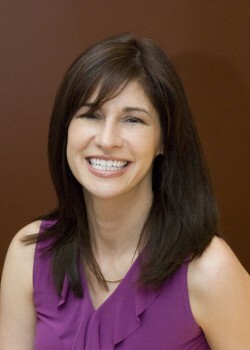 Kaye has voiced several Anime productions, and was part of the Academy Award-winning film, Up. He has embraced the video game industry, voiding many characters including Clank in the popular Ratchet & Clank series, and Nathan Hale in the Resistance series. Kaye will voice Clank in the animated film version of Ratchet & Clank, expected to be released in 2015. After graduating from Loyalist College, Chuck Mercier accepted a job with Durham Regional Police in Oshawa where he held progressively senior positions over a 32-year career. He has been honoured with several of the highest awards for excellence in policing, community work and bravery. 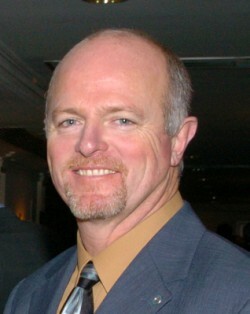 In December 2009, he retired from the Durham Regional Police Service as Deputy Chief of Policing Operations. A year later, Mr. Mercier returned to civic duty as Mayor of Scugog, at the request of the Township’s electorate. Chuck has been a tireless worker and advocate for numerous local causes including Scouts Canada for 18 years. Rod Skinkle’s education and experience has led him to create one of Canada’s leading higher education research and strategy consulting firms, which is now growing internationally. Academica Group Inc. has become a leader in providing post-secondary education-focused policy, consumer research, and education marketing. He has made his mark in the business and educational world with the creation of North America’s longest running higher education study, setting the standard for applicant research in Canada. These studies are used regularly to guide strategic enrolment and brand/positioning strategies for institutions and to inform key sector organizations and policy development. Douglas Roy has been a nurse for more than 28 years and after working in the traditional medical field, he decided that his skills and experience could be more beneficial to people who do not have access to medical help. Roy has worked hard to reduce the stigma of mental illness and bring medical access to those in need. Taking initiative to start the Belleville Street Nurse Outreach program and working with agencies in the Quinte area, he has provided a much-needed service. Bryna Jones has achieved so much in the past five years. Her passions to communicate the injustices children face around the world can be seen in her work and through the organizations she associates herself with, including Save the Children and World Vision. Her projects have brought focus to children’s needs in Africa and Syria, as well as the MasterCard Foundation Youth in Action and Five for 5 campaign in Canada. After working as a livestock farmer for 12 years, Michael Lloyd knew it was time for a change, and the environmental technology program at Loyalist College was a perfect fit with his agricultural experience. Becoming an environmental technologist has allowed Lloyd to make an impact on the world. Within his first year at WESA, he became a project manager. He has worked on projects in Guatemala, undertaking a sedimentation and bathymetric study of Lake Amatitlan for research purposes. His work in the Northwest Territories to help create a wastewater treatment plant program will help restore the area back to its natural state. 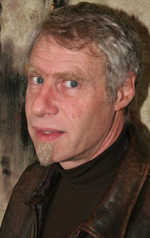 Ken Murphy has been instrumental in shaping Canadian television programming for 30 years. By introducing Pay-TV, Ken helped Canadian television usher in a completely new range of channels, opening doors for all networks. Recognizing the importance of digital signalling, Ken led his teams to create the first full-digital major broadcasting facility in Canada. On August 31st, 2011, all Canadian television signals were switched from analog to digital. As Co-Creator and President of Hi-Fidelity, Ken has redefined the way Canadians watch television. His innovations have helped to give Canada a competitive advantage in new media. Farzana constantly contributes to the world through her photographs. She is able to document life in Afghanistan, particularly the struggles of women in the country. She is a dedicated photojournalist who shows the Afghanistan that exists beyond war. Her fight to be seen and heard is paving the way for future women to work and receive recognition and respect for their contributions. 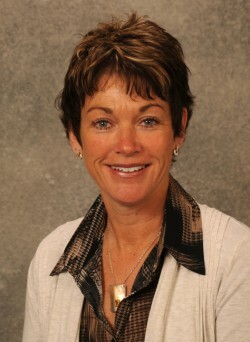 Jan is the Vice President and Chief Human Resources Officer at Quinte Health Care. She has played an active role in making QHC a top integrated health care system in Ontario. Her leadership of the Regional Integrated Supply Chain Project led to the establishment of the 3SO Regional Supply Chain business for the SE LHIN hospitals. Since 2007, Jan has played an active role as a member of the Ontario Hospital Association Health Human Resources Strategic Leadership Council. She is also a member of the Loyalist College Business Administration Program Advisory Committee and SIFE Advisory Committee. Bob has held many leadership positions in manufacturing in the last 25 years, including his current role as Lean /5S Coordinator at Kennametal Stellite in Belleville. In this capacity, he designs, develops and implements lean business strategies, which eliminate waste and improve productivity. Bob is Chair of the Quinte Manufacturers Association, which has more than 120 members representing over 9,000 direct jobs and 27,000 indirect jobs. 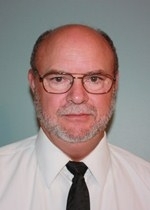 He sits on the Board of Directors for the Belleville Chamber of Commerce as Manufacturing Representative. He is also part of the Manufacturing Advisory Committee at Loyalist College. Karen is an end-to-end supply chain expert (supplier-manufacturer-shipper-customer) with a keen sense for strategy, continuous improvement and a passion to develop strong teams which deliver outstanding results. Her current role as Global Service Manager for Corporate Business Intelligence allows Karen to use her business knowledge, gained at Loyalist College, to develop and deploy data gathering and analysis technologies and processes to deliver against a top priority strategy for the company. Karen is also active in community service for schools, church, women’s and sports events. After graduating from College, Chuck Mercier accepted a job with Durham Regional Police in Oshawa where he held progressively senior positions over a 32-year career. He has been honoured with several commendations and awards for excellence in policing, community work and bravery. 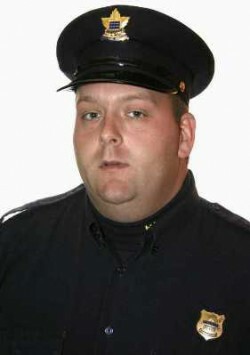 In December 2009, he retired from the Durham Regional Police Service as Deputy Chief of Policing Operations. 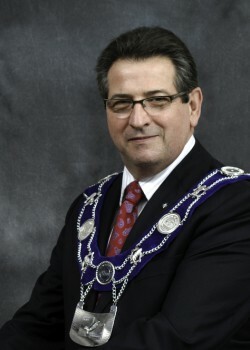 A year later, Mr. Mercier returned to civic duty – at the request of Scugog’s electorate – as Mayor. Chuck has been a tireless worker for a number of local causes including Scouts Canada for 18 years. Recently appointed as the Middle East Bureau Chief for CTV, Martin Seemungal’s career as a foreign news correspondent for CTV, CBC, ABC, CBS and PBS has seen him travel the world covering international events. Throughout his career, Martin has been recognized for his outstanding work, and he is the recipient of many industry awards and nominations including two Emmy Awards, a Peabody Award, an Overseas Press Club for America Award, the Radio and Television News Directors (Canada) Award for Best Documentary, and a Gemini Award nomination. Karen Mayfield is the President of eSolutions a new-aged technology company from Ontario’s technology capital Waterloo and an important and successful division of a traditional 0.5 billion dollar Canadian environmental company. 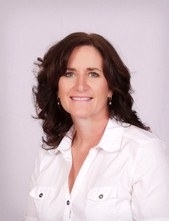 The first female partner of Conestoga-Rovers with over 25 years of experience, Karen spearheads many initiatives, including extensive research and development into new ideas for using the web to support community-focused objectives including environmental stewardship. Karen paved the way for women by bringing energy and innovation to establish a collaborative working environment. She regularly shares her career experiences to assist and motivate as a professional speaker at events. Currently working at the Montreal Children’s Hospital as a Staff Nurse, Trudy has been working in pediatrics for most of her career. Her Loyalist experience initially inspired her to work with children and her passion for this began at Toronto’s Sick Kids. It then carried her to various locations in the United States where she settled for ten years in Denver, Colorado. In addition to her regular nursing duties, Trudy was one of the first to respond to the earthquake in Haiti by volunteering as both nurse and translator for “Project Smile,” aiding children with facial deformities access medical care and safe reconstructive surgery. As the Program Manager – Department of Parks, Recreation & Culture for the Municipality of Port Hope, Brenda is responsible for municipally-operated recreation programs. Through her career she has demonstrated exceptional leadership and in creating community awareness and advocating for children and youth . 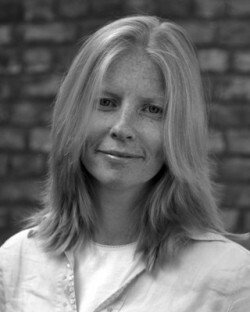 Karen has worked at Procter & Gamble for the past 20 years. 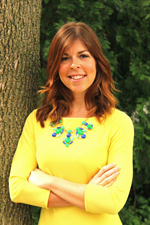 Currently, she is the Global Transportation Program Manager at Procter & Gamble based in Cincinnati. 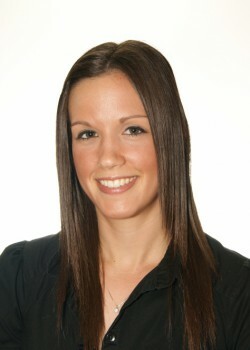 As a corporate representative, Karen regularly engages in training and facilitates presentations at global conferences. Along with her global responsibilities, she finds time to visit to speak to, and motivate, current students. Lisa’s progressive career to the hallways of power and influence on Parliament Hill, and most recently to the downtown core of Canada’s largest city. Using her strengths in strategic leadership, communication and organizational management she continues to influence and effect change as Director of Regulatory Affairs with the not-for-profit organization, Ornge. 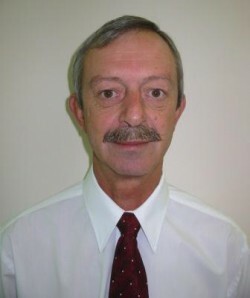 Vern has had a diversified career spanning more than 30 years with Defence Construction Canada during which he has held increasingly senior positions. Presently, as Manager of 8 Wing Trenton’s Capital Construction Program, Vern works to create a positive and productive working environment for his staff and colleagues and his efforts in this regard were recognized when he received the first ever Defence Construction Canada (DCC) Customer Satisfaction Award in 1994 and in 2009 he was inducted into the prestigious Klaus Woerner Skilled Trades Hall of Fame. Ed Yiu is internationally recognized as being on the cutting edge of new television production technology, with more than 30 years’ experience in the broadcast industry. As the president of the Spectrum Nexus Group, Ed provides assistance and guidance to media companies with the integration of media technologies for events such as the Beijing Olympics, Vancouver Olympics and the 2010 World Cup in South Africa. Program at George Brown College and Director of Program Development at Respect-At-Work. Throughout her diverse career, Mandy continues to maintain a focus on anti-violence work. As the Provincial Offences Enforcement Officer, Emily Hall is responsible for an area covering more than 7,000 square kilometres with a population of close to 156,000 to ensure compliance with the Ontario Smoke-Free Ontario Act. She works in conjunction with local police and fire departments, Ministry of Revenue, RCMP and the Alcohol & Gaming Commission. In addition, Emily is the Commanding Officer of the 608 Royal Air Cadet Squadron in Belleville overseeing 75 cadets, three officers and four volunteers. She is one of the youngest to hold a commanding officer position in Ontario and holds the rank of Captain. 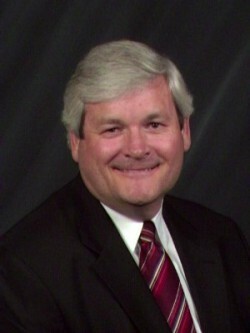 Jim Harrington is an electronics and mechanical product designer who has been developing research and exploration equipment since 1970 in astrophysics, geophysics, and oceanographic applications. He developed a new method for gold and platinum exploration. His work in transient electromagnetic exploration equipment led directly to the discovery of countless ore bodies around the world. In 1980, he assisted in the development of the high flux telescope for the Ulysses spacecraft. Jim is recognized worldwide for the design and fabrication of Canada’s first successful fuel cell-assisted sailboat, “The Sloop Jim D”, inspired by a similar system used on the Apollo spacecraft. For the past 30 years, Jane Powell has lived and worked at L’Arche in Montreal, the Ivory Coast, Richmond Hill, and Toronto. L’Arche is an “intentional” community in which people with intellectual disabilities and without disabilities choose to live, work, learn, and create a home together. Jane is a leader in L’Arche Canada in the area of bereavement and palliative care. She has authored several publications on the subject. While Jane continues to live in a L’Arche community, she also consults with other agencies and groups in the area of aging, palliative care, grief and bereavement. 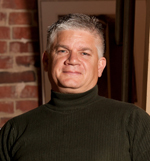 As co-owner of EMS-Tech Inc., Brian Stafford designs self-unloading cargo ships. His award-winning company has expanded with offices on three continents. Two of the four patents that EMS-Tech holds are Brian’s inventions. In 2005, EMS-Tech received the Business Excellence Award from the Quinte and Area Business Achievement Awards. Most recent awards included two Ontario Global Traders Awards for the Eastern Region, Gold for Innovation and Silver for Market Expansion. In one year Brian made six trips around the world to offer his expertise and ingenuity. Along with a very successful career in financial services and insurance, Jim Westlake makes volunteering a major part of his life. As Group Head of Canadian Personal and Business Clients since 2004, Jim leads RBC Financial Group’s domestic retail businesses. 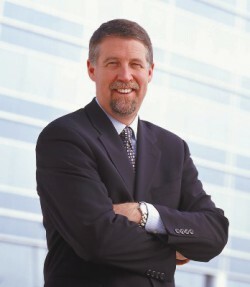 He is the immediate past Chair of the Canadian Chamber of Commerce. In 2003, he received the Queen’s Golden Jubilee medal for community service. 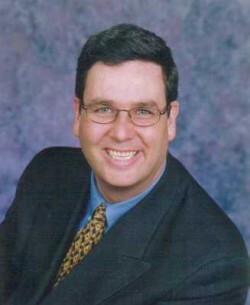 In 2001, he was Campaign Chair of the United Way of Peel Region. Other former activities include Director of the Children’s Hospital of Eastern Ontario, Chairman of the Ottawa Ronald MacDonald House and Chairman of Fundraising for Ottawa General Hospital. Chris Grayson works to make dignified choices available to our intellectually disabled communities. As the Executive Director of Community Living Campbellford/Brighton his agency has won the Donner Canadian Foundation Awards for excellence in the delivery of social services. In 2003, Chris was honoured with the first Provincial Leadership Award from Accreditation Ontario for displaying exceptional leadership. For two decades he has encouraged integrated communities and public acceptance for vulnerable people. He became a provincial lobbyist on issues germane to their rights and quality of supports and services. Lana Slezic gives a voice to marginalized people through photojournalism. Since having her photos published in TIME, The New York Times and magazines across three continents, she embarked on a journey that depicted the difficult situations of women in Afghanistan. In 2005 Lana was chosen by an international jury as one of twelve young photographers worldwide invited to participate in the World Press Joop Swart Masterclass in Amsterdam. Recent awards include two International Photography Awards and Canada’s Society for News Design Award for her work on Afghan women. Following graduation from Loyalist in 1999, Suzanne Gingras moved to the United States to work in Phoenix and later San Diego, specializing in pediatric intensive care in a renowned acute care unit. After this experience she became a “travelling nurse,” and has worked at various hospitals across the USA. Her professional passion has led her to volunteer with the International Children’s Heart Foundation, as part of a medical team helping in the life saving cardiac surgeries performed by Dr. William Novick. These missions have taken her to Enugu, Nigeria and Minsk, Belarus. 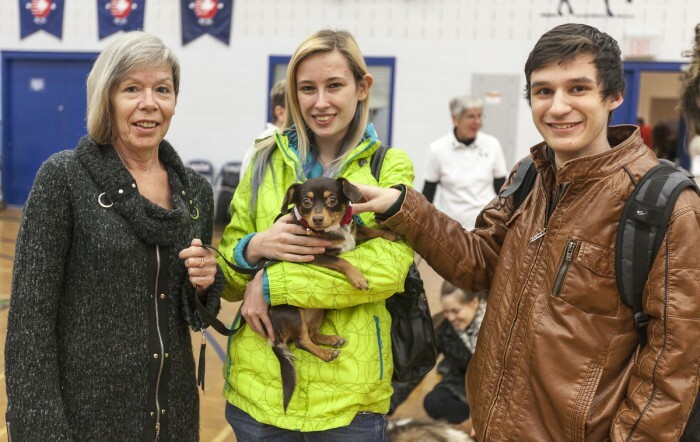 She credits Loyalist College with starting her on a rewarding career path. Martin Seemungal is a Foreign Correspondent for ABC News based in Rome covering stories in Africa, the Middle East and Italy. Since graduating from Loyalist’s Television Broadcasting program in 1980, his skill as an international and foreign correspondent have taken him around the world and earned him international acclaim as a broadcast journalist. 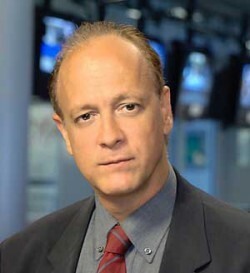 Recently he was awarded an Emmy for coverage of conflict in Darfur on ABC World News Tonight with Peter Jennings. 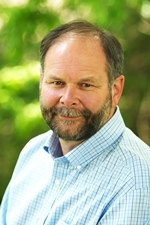 Reg Pearson is responsible for the second largest caseload for conciliation and mediation in North America in his current role as Director of Labour Management Services for the Ontario Ministry of Labour. His career has been diverse and has taken him from leading technology training labs and technical support for Bell Canada to acting as a mediator at the Ontario Ministry of Labour to working as a Senior Industrial & Talent Relations Officer for the CBC. 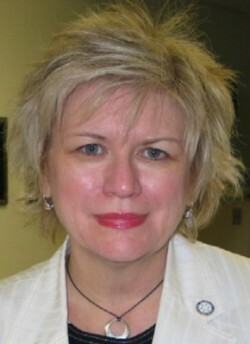 Mary-Anne Sills graduated from Loyalist College in 1974 in the Residential Counsellor – Mental Retardation program. Her interest in helping people and commitment to making a difference in the world was nurtured during her time at Loyalist. 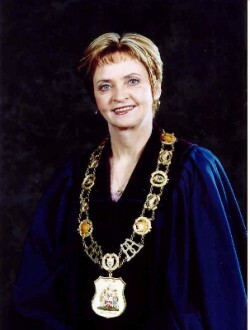 She was elected as a Member of Belleville City Council in 1988 and served as a councillor for 15 years. 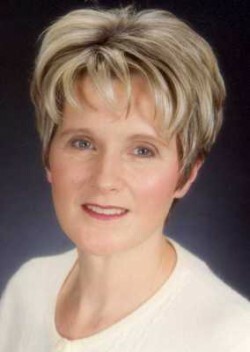 In 2003, she was elected Mayor of the City. Mary-Anne Sills has received a number of awards recognizing her community service, including the Belleville Citizen Award, and the Rotary Paul Harris Fellowship. She coaches the Belleville Bombers II softball team for special athletes. Joe Roberts overcame drug addiction to become the head of a multimedia development company, Mindware Design communications, in Vancouver. In less than four years, he led the company to an 800 per cent increase in business, making his first million dollars before he turned 35. Roberts was named one of Business in Vancouver’s 40 Under 40 Outstanding Business People and one of Maclean’s magazine’s 10 Canadians Who Make a Difference. Roberts is the founding member of Courage to Change, a foundation created to educate youth about drug and alcohol abuse. He speaks at high schools, prisons and organizations and is the author of two books. Brian Hanson is a 1999 graduate of Law & Security, Customs/Immigration from Loyalist College. 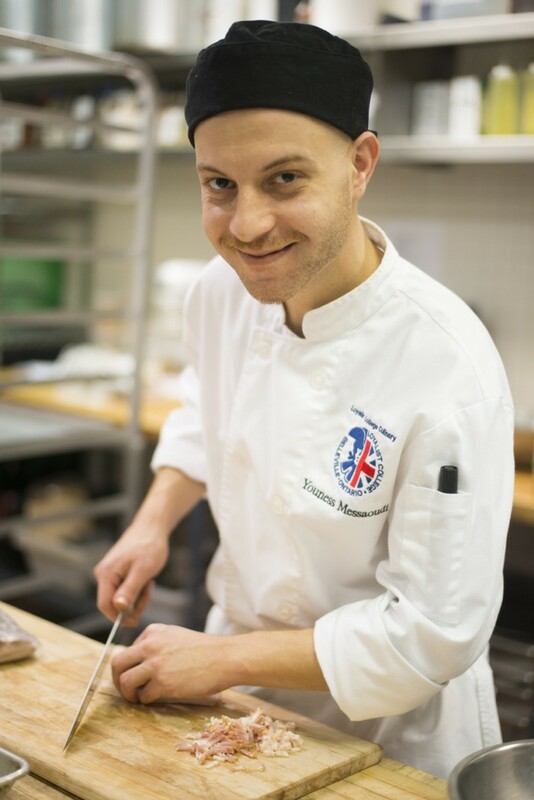 Upon graduating, Brian accepted a position with Canada Customs and Revenue as a Customs Officer in his native province of New Brunswick. Brian was actively involved in numerous community fundraising events while at Loyalist and this involvement has grown to a passion for making a difference through community service. His work with the Missing Children Program has resulted in increased awareness of the program through his initiatives such as a community BBQ and the construction of missing children bulletin boards. He has also been an active volunteer with Big Brothers, Big Sisters and the Special Olympics. 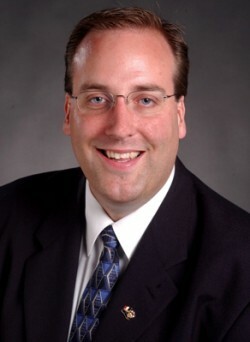 Chris d’Entremont was first elected to the Legislative Assembly in Nova Scotia in August 2003. 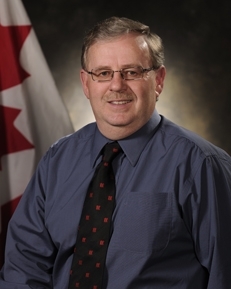 He was appointed Minister of Agriculture and Fisheries and Minister of Acadian Affairs. 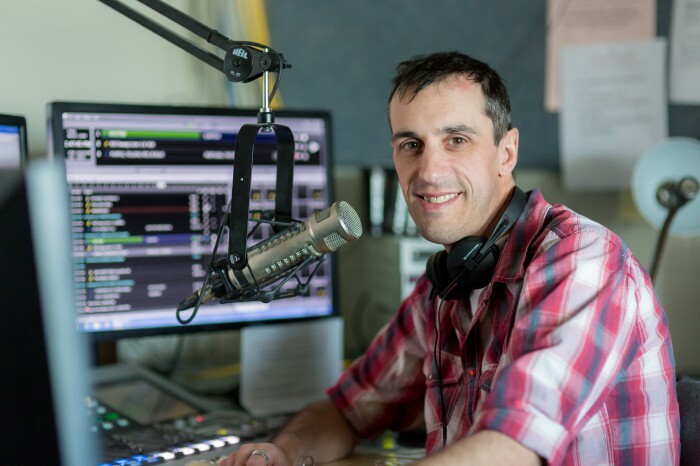 A graduate of the Radio Broadcasting Program at Loyalist College, he has worked as a radio announcer, development officer and in the fishing and boatbuilding industries. He has a keen dedication to his community, and has served as a volunteer with the Festival Acadien de Sainte Anne-du-Ruisseau, and the Rotary Club of Yarmouth. He is treasurer of the South West Nova Scouting Council, and treasurer and volunteer with the Eel Brook Fire Department. Adrienne is a member of the Bearskin Lake First Nation, a remote Aboriginal community in northwestern Ontario. With the support of her husband and three children, she registered in the Photojournalism program at Loyalist College. 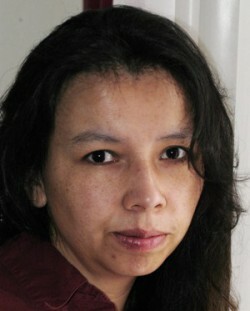 Today she is editor and senior news writer for the Wawatay News in Sioux Lookout. She was recognized in 2003 by the people of the Nishnawbe Aski Nation, with the Woman of the Year award, presented to Aboriginal women who succeed in achieving their goals despite their personal difficulties. She has won several journalism awards at the provincial and national level. 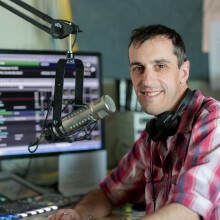 Mike graduated from Loyalist in 2000 with Radio Broadcasting and Broadcast Journalism diplomas. While a student at Loyalist, he volunteered with the Quinte Red Devil Hockey program and had the opportunity to do the play-by-play for the Loyalist Basketball team on CJLX Radio. He also produced and hosted his own sports show on CJLX and co-anchored an Ontario Provincial election. 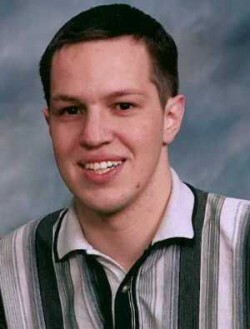 Mike is employed with CKDR Radio in the Northern community of Dryden, where he is the afternoon news anchor-reporter. Newspapers prove their value in a crisis. The community can look to its local paper to explain what’s happening and to provide commentary. But sometimes, a crisis is so extreme it makes producing a newspaper almost impossible. Lynn Haddrall has experienced this situation twice in five years – in the ice storm of 1998 and the provincial blackout of 2003. Each time, Lynn was determined that readers would receive their local newspapers. Lynn has led newsrooms to numerous national, provincial and regional awards, but considers the publication of papers during the ice storm and the blackout to be her outstanding achievements. Her team delivered the news against overwhelming odds in both cases. 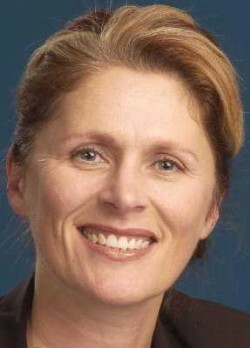 Janet Baragar is Director of Maternal Child and Surgical Services for Quinte Healthcare, with responsibility for corporate administration and management for inpatient and ambulatory Surgical and Maternal Child services at three sites. 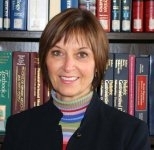 Prior to her current position, Janet was the Program Director for the maternal-child area, and in this role provided project leadership for the enhancement and relocation of Maternal Child Services. This project involved the multimillion dollar capital redevelopment for obstetrics and pediatrics at Belleville General Hospital. The innovative single room maternity care design and collocation/enhancement of pediatrics involved several years of planning with community and stakeholder consultation. 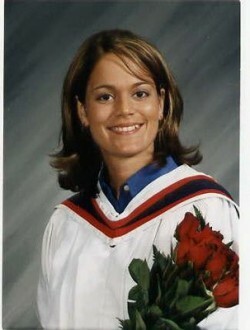 In the four short years since Joy Peacock graduated from the Registered Nursing program at Loyalist College, she has achieved outstanding success both academically and professionally. In her current position of Program Manager, Surgery at Kingston General Hospital, Joy is responsible for the development, coordination and education of patient care within the surgical program. She has also completed a diploma in Critical Care Nursing, a Bachelor of Nursing Science degree and is currently enrolled in a Master of Science program. Joy was awarded a Registered Nurses of Ontario fellowship and actively participates in a number of professional memberships.